Starring: Oleg Ivenko as the ballet dancer Rudolf Nureyev, -and Ukrainian dancer Sergei Polunin as his roommate Yuri Soloviev. 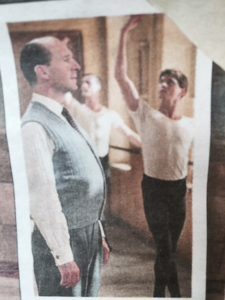 It is inspired by the book Rudolf Nureyev: The Life by Julie Kavanagh..
What a treat this movie is… From the stunning quality of dance, to the beautiful music and variation in film technique…. There is a scene in the film which shows his first ever time in a Theatre; there is only one ticket for the whole family to share but it is he who sees the opera & his love-affair with performance begins. Rudolph becomes one of the lead dancers with the Kirov Ballet and to his delight the company travel to Paris in 1961 to perform… You see Rudi getting up much earlier than his co-dancers to visit all that Paris has to offer – the museums, restaurants, night-clubs – speaking and making friends with the westerners – this is at the height of the Cold War but politics is of no interest to Rudi. (the Russian ‘minders’ are always watching him and making notes of who he is with and what time he returns to the hotel) He becomes tight with a group of French dancers and strikes up a firm friendship with a very wealthy and well connected young French/Chilean girl called Clara Saint. You see Rudi thriving in their company, always learning and moving forward…. The KGB officers / minders become more and more suspicious of Rudi’s behaviour and who he is hanging out with.. 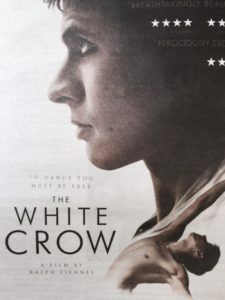 Fantastic piece of Film & Dance – loved it! 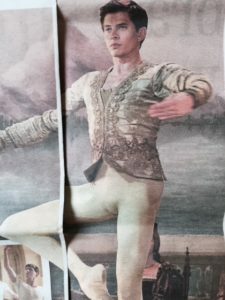 I really hope someone decides to take the rest of Rudolph Nureyev’s story and make almost a ‘Part Two’ of his life – there was definitely lots more to share.